Check out all the best of the week in Issue 117 of the Tech Smart Boss Newsletter. For the past 2 newsletters, I have selected two out-of-the-box Cool Tech of the Week apps. For Issue 115 I selected Audible for audio books. For Issue 116 I selected Overcast for podcasts, and this week, I will complete the trifecta and….. drumroll please 🥁, the Cool Tech of the Week is 8tracks. So this pick represents something that many entrepreneurs don’t consider, sometimes you need to relax and chill. You probably have never heard of 8tracks. 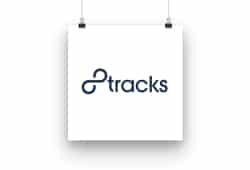 I could have said Pandora, Spotify, or any number of streaming music services, but I wanted to give a shoutout to 8tracks as a bootstrapped business that is hustling amongst the giants of the industry. And they are doing a darn good job. They have easily discoverable playlists of music that are created by DJs (and anyone wanting to be one). And I can’t speak for your taste for music, but if you are into old school hip hop (90’s when music was good), then you will really love 8tracks. Give it a try, a Tech Smart Boss always works better when there is music in the background, and sometimes you just need to quit listening to audiobooks and podcasts and chill to some beats. That’s 8tracks.